Hopefully many of you have picked up a copy of Sense & Sensibility for this year's read along (and hopefully if you have, you've actually cracked the book and gotten started!). For those of you who have already read it or started reading as soon as the Read Along was announced in July, it's time to gather round — with your teas and your coffees and your tiny, tiny sandwiches — and all begin talking over each other at once! It's time for part one of our Sense & Sensibility discussion questions! Note: S&S was originally published in 3 volumes, and currently, some copies are still split up into those volumes (with their own chapters), while others number the chapters contiguously and don't contain volume splits. So we're all on the same (figurative and maybe literal) page, I'm going to be using the contiguous chapter numbering from Project Gutenberg (which you can get for free here). This first set of questions covers chapters 1-25; for clarity for those of you using different copies, this covers up to preparations to leave for London. What are your first impressions of the book? The characters? Anything you find confusing, or were shocked by? Contrast Elinor and Marianne. Do you find yourself siding with or relating to one over the other? If you've read the book before, has your opinion and/or "allegiance" changed since you first read it? There's a lot to be said for the female personalities in this novel — especially E & M, of course, since they exemplify the attributes of the title), but the male personalities showcased are pretty fascinating as well. From their brother's easily swayed callousness, Sir Middleton's jocularity, Edward's ease, Willoughby's charm and Brandon's quiet intensity, there's a lot going on to pick apart and dig into. Who stands out to you, and why? Are there any red flags about anyone's behavior that stick out to you at this point, and if so, what do you think they mean? Also, contrast their presentation and what you know of them with the female characters -- any major differences or surprises? Do you find them more or less open/understandable/relatable than the women of the novel, and why or why not? 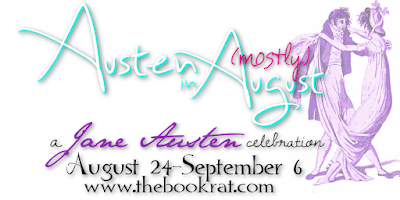 Speaking of red flags, the first 1/2 of the book brings us two of the most manipulative women in Austen (and there Austen has written some doozies, so this is really saying something). Discuss Fanny Dashwood and Lucy Steele, and your reaction to them. Do you see any good intentions in their actions, or any excuses/defenses you can make for them (2 of Austen's most hated characters)? What do you make of the pairings and longings so far? Do they feel well-suited? And what do you make of Col. Brandon's infatuation with Marianne, as he is roughly twice her age and only a few years younger than her own mother? 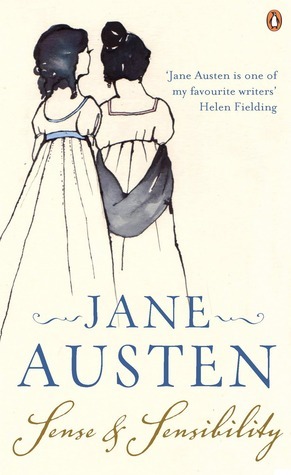 Austen originally wrote S&S as an epistolary novel, or a "novel in letters" — how different do you think the book, and your reaction to it, would be if it had been written in letters? Can you foresee any major changes to plot points and events if the whole thing had been presented in letters (ie would things change or get lost in the telling rather than the doing)? Do you think you would have enjoyed it in epistolary form? The end of Chapter 25 sees the girls leaving for London with very different feelings and outlooks. Discuss events so far, and your projections for what London will bring (if you've not read the book before, any predictions for what you think is going to happen in the second half?). Anything else you want to discuss from the first 1/2 of the book? Significant events, favorite lines, etc? I'm not as fond of S&S as I am of Austen's other books. It's okay, but I prefer Emma and Pride and Prejudice more. I love your questions though. They make me want to go back through the book again!